When you record your favorite show, do you fast forward through the commercials? When you watch a clip on YouTube, do you skip the video ad? If you answered “yes,” you’re not alone. In today’s world, consumers are exposed to more and more ads. But, they’re becoming increasingly ineffective. According to a consumer survey, 63% of people said that they trust ads shown on TV, and only 48% of people said that they trust online ads. If so few consumers are drawn in by traditional ads, you may be wondering how to differentiate yourself and come up with an effective way of attracting potential customers. Enter, content marketing. I’ve already established that traditional ads are becoming less effective, but what if consumers no longer had to endure the sleazy salesman act? Content marketing is all about the “soft sell” — creating and distributing useful information with the ultimate goal of building a positive reputation and gaining new customers. Traditional advertisements usually focus on how great a business or product is. People don’t really care about that. What they do care about is their problems and how to solve them. If you can create compelling content that shows people how to effectively solve their problems, the more likely they will trust you as a company. The more potential customers trust your business brand, the more likely they are to eventually buy into your products and services. Let’s look at an example. A New York City divorce lawyer has just opened up a new firm. Great, but how does he get clients? After some careful research, he finds out that his competitors have their marketing strategies focused on PPC advertising and blog SEO. He finds that none of the other lawyers in the city use video posts on their websites. He decides to start creating videos around the most common questions someone is likely to have while going through a divorce. He consistently posts a new video every few days with the goal of ranking highly in search engines and reaching more people. After a few months, his older videos start to rank well and, instead of having to pay every time someone views his site, potential customers come to him thanks to his site’s relevant, frequent content. So, what is a content marketing strategy? 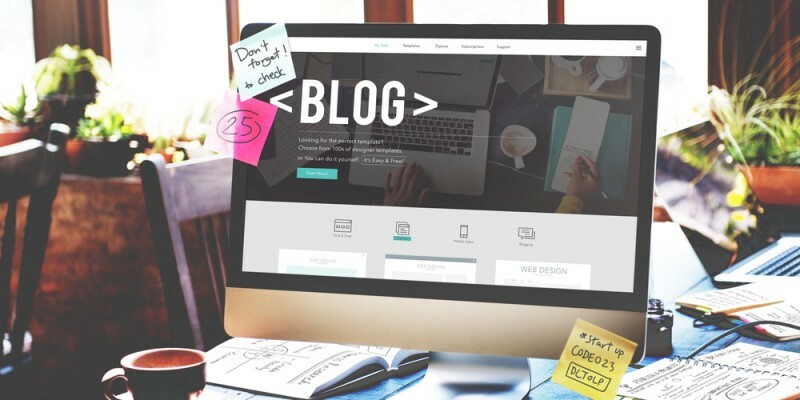 You may have heard general things along the lines of, “blogging is great for business”. You may have read about every business having a Facebook page. It’s not enough to do a guest blog post here and Facebook update there with a few tweets thrown in. If you decide to make use of content marketing, a well thought out strategy is needed to get the most out of your marketing efforts. What does a content marketing strategy consist of? Before doing anything else, you need defined business goals so you know the direction your organization is going, and why. What problems do you and your business solve? How is your business uniquely different than others in the same industry? What does it offer that no else does? The more you understand about who actually needs your business’ service, the easier it is to develop a written content marketing strategy. For instance, if your ideal customer is male and aged between 18 and 30, would it be better to write long and information-heavy blog posts or short and entertaining video clips? Next, you need to recognize which formats and channels are best for distributing content. Where do your ideal customers spend most of their time online? Are they online for entertainment or information? What type of content do they usually respond to? Do they only have a few minutes to spare to get the information they’re looking for? Every business should have a defined schedule of when and where content is going to be distributed. Conducting relevant research on the frequency and distribution channel will help you to achieve optimum results. For example, data shows that companies that published 16 or more blog posts per month got almost 3.5 times more traffic than companies that published 0-4 monthly posts. Setting timeframes around when and how a strategy is measured should be a part of a business’ overall strategy. This can be daily, weekly, or monthly, but it has to be consistent to get reliable data over time. What was the most viewed piece of content for that time period? What type of content attracts the most views? Blog posts? Case studies? Videos? What traffic source produced the most views? Was the response to the content positive? If not, how can the content be improved? Did the content lead to viewers taking action, such as subscribing to an e-mail newsletter, or sharing via social media? A content marketing strategy is an important part of a business’ overall strategy and should work together with and complement other marketing efforts. Developing a content marketing strategy doesn’t have to be difficult. You just need to ask yourself the right questions, understand what your business offers, what your ideal customer looks like, what type of content they use to solve their problems, and where they look to find this information. With a solid strategy in place, you should be able to reap the rewards by attracting visitors who rely on your content to obtain useful information. The ultimate goal? People who engage with your content, trust your brand, and eventually become paying customers. Which content marketing tactics work — or could work — best for your business? Is it something you can place a bigger focus on for 2016?